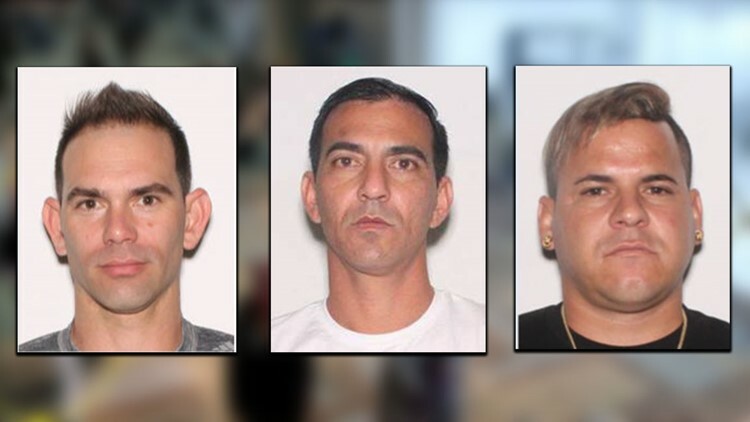 According to Austin police, there are three men who just flew in Thursday who are suspected to be part of a larger, organized crime ring that pick pocketed several people in Nashville and several clubs and bars. AUSTIN — Watch your stuff and your pockets this weekend if you’re in Austin, especially Downtown Austin. According to Austin police, there are three men who just flew in Thursday who are suspected to be part of a larger, organized crime ring that pickpocketed several people in Nashville and several clubs and bars. While police said some of those in the crime ring were found to have stolen items on them, Austin police don’t know of any outstanding warrants for these three men. According to sources in the department, officers confronted the three men when they landed in Austin Thursday and searched for any missing reported items. They did not find any stolen goods on the men so they were released. However, that source tells KVUE that the three men were warned that police were keeping a very close eye on them. The men were identified as 31-year-old Jorge Lam AKA Jorge Ernesto; 40-year-old Frank Lam AKA Frank Lam Fiorenzano, and 31-year-old Yonny Valina AKA Yonny Valina Almentero. They expected to be in Austin through Sunday. The men have not been charged or arrested. Jennifer Stevenson, APD Commander for downtown Austin, sent the alert to the Downtown Austin Alliance Thursday morning. The two work very closely to keep downtown safe, according to Downtown Austin Alliance Operations Director Matt Macioge. Macioge immediately forwarded the warning to more than 400 businesses and companies in the downtown area to alert their employees and residents. "We know we have one of the safest cities in the nation but it can always be better, so anytime Austin Police Department sends us information like this, we take it very seriously and do everything we can in our powers to make sure we have clean, safe streets,” said Macioge.